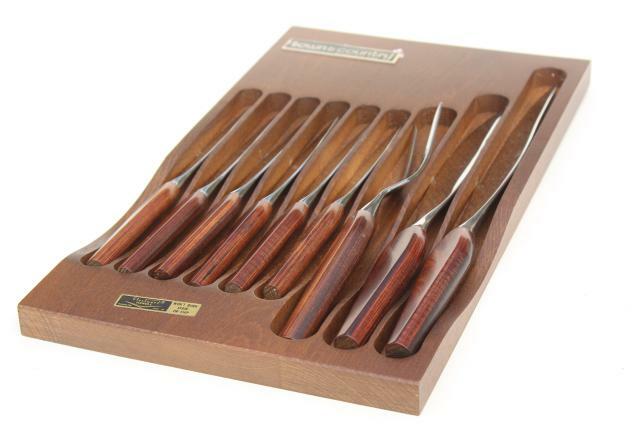 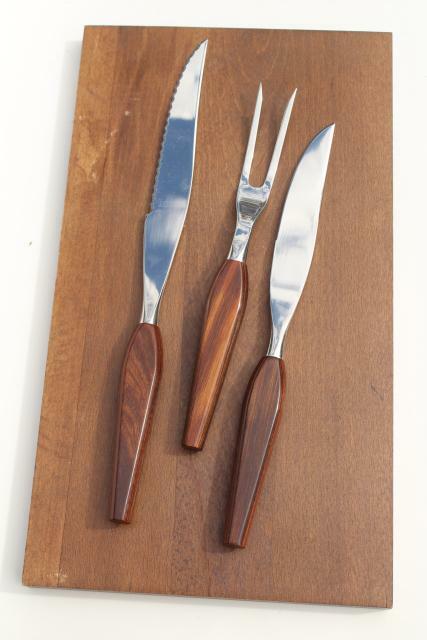 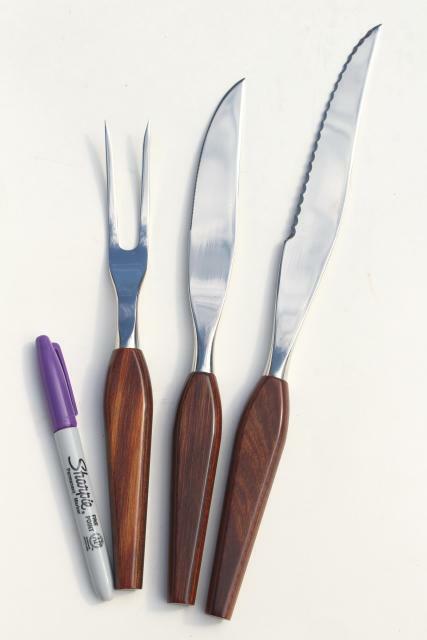 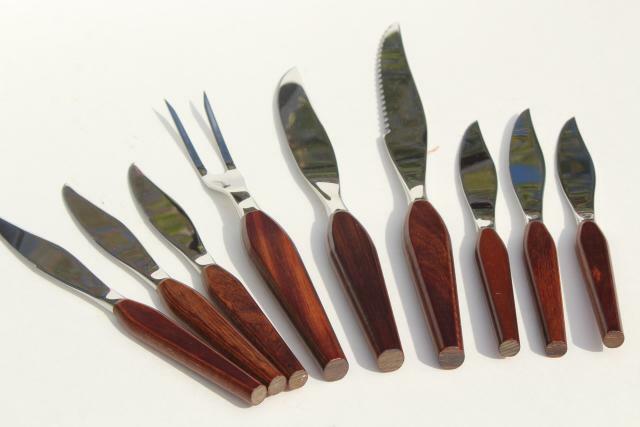 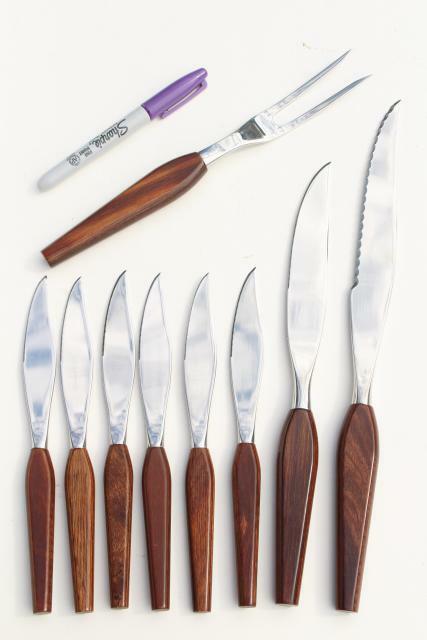 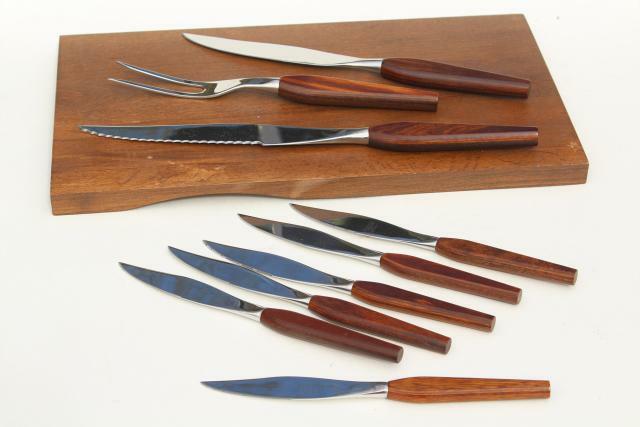 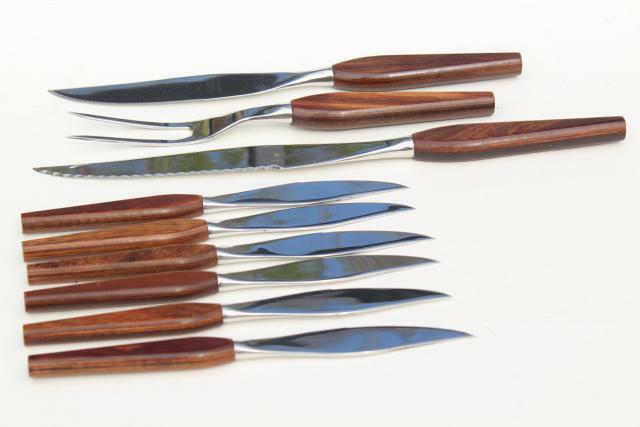 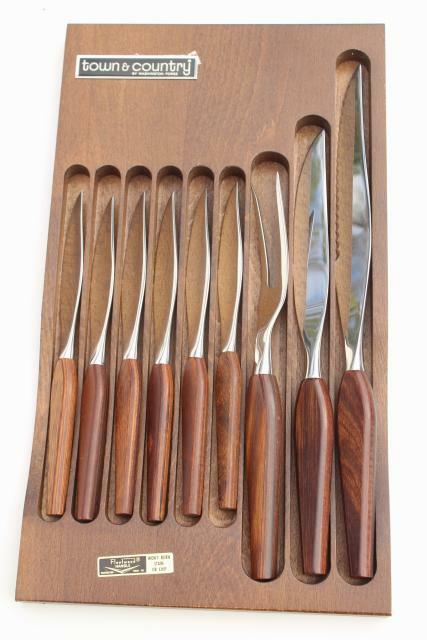 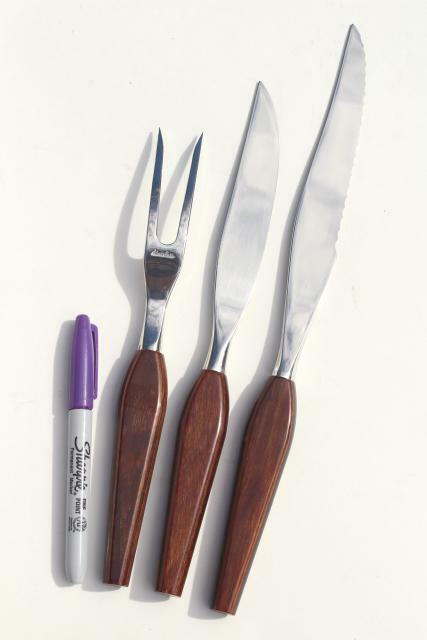 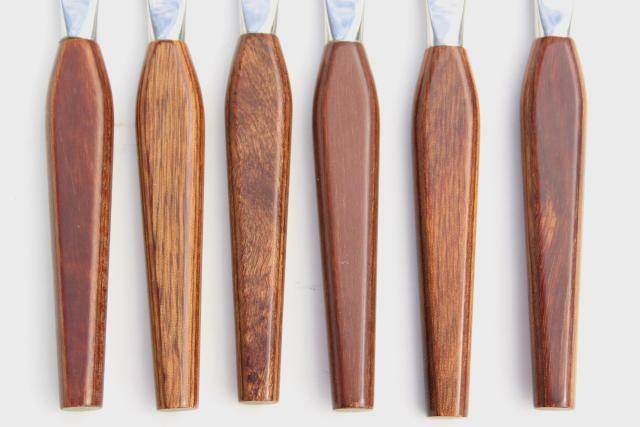 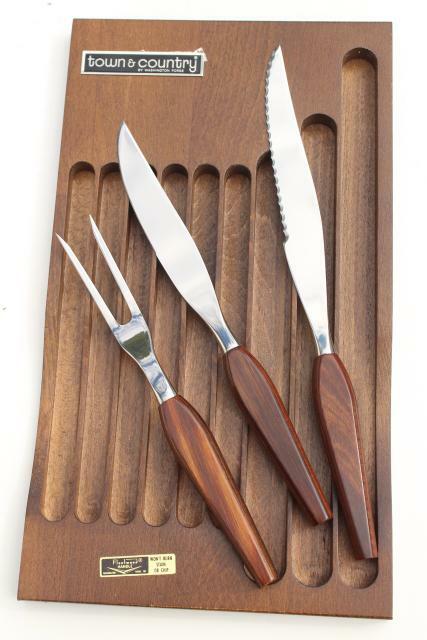 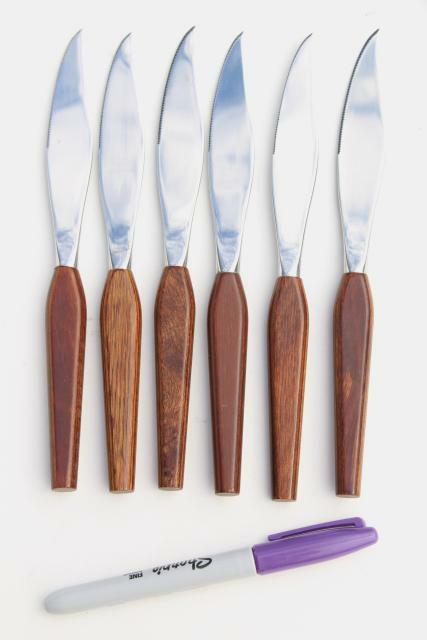 Vintage Washington Forge steak knives and carving set, the 'Town and Country' line with Fleetwood (birch or teak wood?) 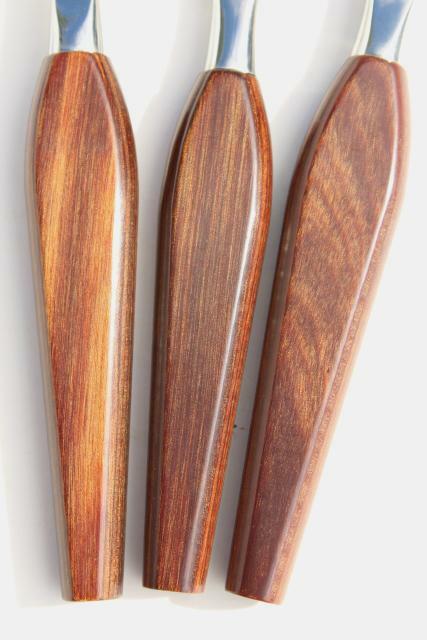 handles. 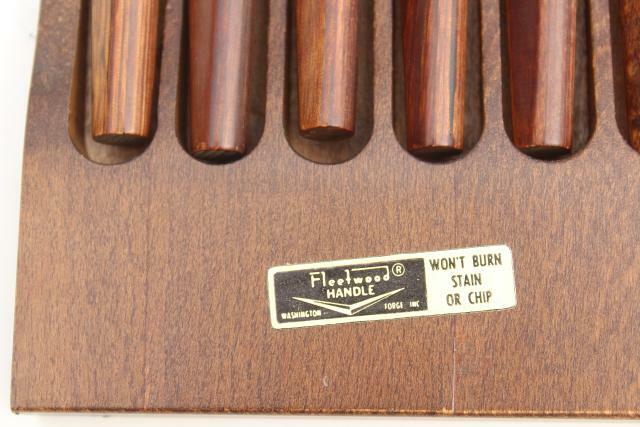 I don't think this set has ever been used... there's a little piece of vintage gift wrap stuck under the label on the open wood case. 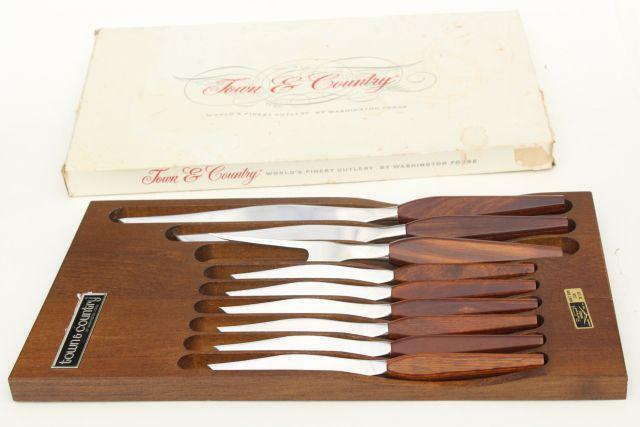 The cutlery all looks excellent, though there's a few scratches and scuffs to the wood case, and the original cardboard box is very spotted and worn.